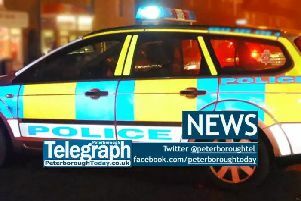 A Peterborough man has been arrested on suspicion of causing the death of a 23-year-old by dangerous driving. The 56-year-old was arrested on Tuesday in connection with the death of Chase Tate. Mr Tate formerly known as Chase North, was found lying next to the A1104 at Miles Cross Hill, Ulceby, near Alford in east Lincolnshire on January 7 this year.